"Conversation Space have provided invaluable support in designing and implementing our reverse mentoring programme. Their insight and guidance has helped ensure a successful pilot in our Birmingham office – the outputs from which have included immediate practical positive steps for the business. We are now rolling out the programme to a number of other locations. I have found Conversation Space a pleasure to work with and look forward to their continued involvement moving forward." Reverse mentoring is super-hot right now and Emily Cosgrove shares why in this video. By breaking down the traditional barriers of top down hierarchy through a reverse mentoring programme, junior staff can offer a fresh pair of eyes and a different perspective. In 2017, Mark Taylor, Regional Managing Partner, RSM had a vision of enhancing the way people within the business worked together. He was keen to hold on to the strengths and foundations that already existed, but also deeply aware of the untapped potential from having conversations in a new way; in a more collaborative way, with ‘heart’ as well as head, in a more inclusive way. Ultimately, Mark wanted to use the programme to build a stronger, more cohesive and noticeably more effective organisation. When leaders at the top of any organisation choose to actively demonstrate their commitment to change and seek to understand from someone who is different to themselves, real change can happen. Watch what he has to say here. We worked with Mark and his wider team to deliver a Reverse Mentoring Conversations programme tailored around cross generational conversations and engagement. Grounded in the philosophy and practice of Conversational Wisdom®, it encouraged participants to think differently and break down the barriers of traditional business conversations in an objective way. The careful process of matching enabled people who may not otherwise normally come into contact with each other, to connect on a one-to-one basis. This created a strategic capability which exposed key populations to specific learning opportunities, built multi-level engagement and harnessed talent. 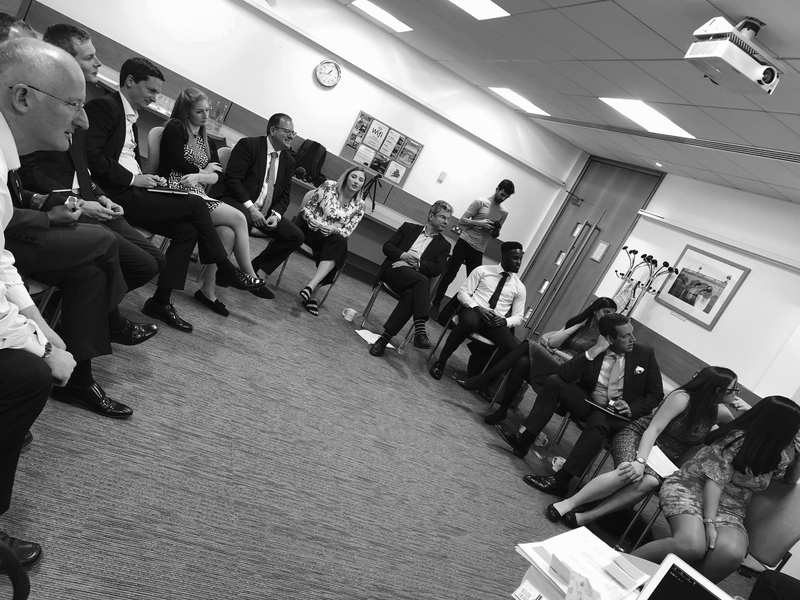 The 2018 Reverse Mentoring Programme in the Birmingham Region has been a resounding success. 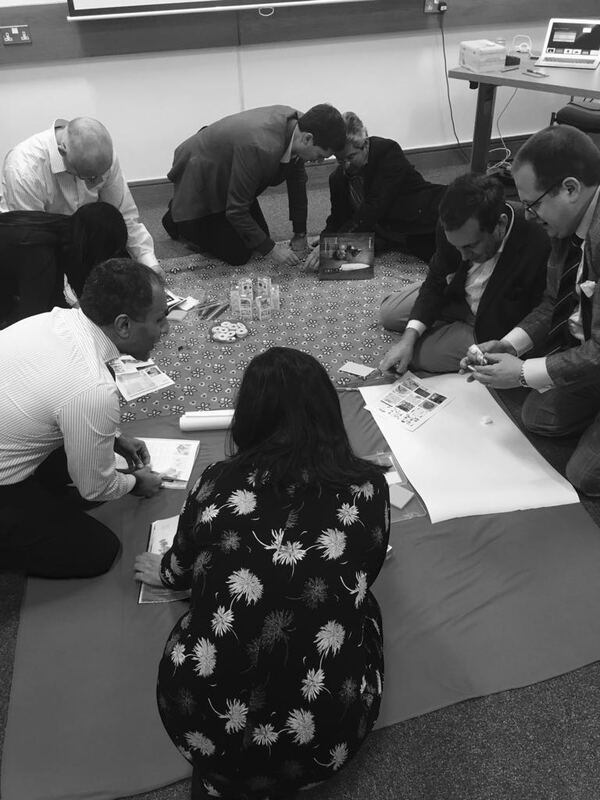 Tangible business outcomes have included the setting up of a Shadow Board “Talk to the Top” sponsored by CEO David Gwilliam, and reverse mentoring being rolled out for Year 2 in Birmingham as well as to other RSM regions including Leeds, Bristol and potentially Milton Keynes. But don’t just take our word for it. Have a look at what participants have had to say here. One of the core themes emerging from having conversations across difference using a reverse mentoring approach, has been the value to the business of gaining new insights and building new relationships. At the beginning of the programme Mark was clear that he didn’t want to pay lip service to ‘just another initiative’. He wanted to create a deeper and lasting change, a change that was driven through the way people have conversations. Check out this clip where he shares more about the impacts, and watch here to see his top tips to anyone interested in setting up a reverse mentoring programme. Forward thinking leaders understand that there has never been a more important time to reconsider how they connect with people through their conversations. This is what Reverse Mentoring does. Click here to watch more video clips from the RSM Reverse Mentoring Conversations programme.